Not all kiwi homes are built the same, so whether you have a tiny home or mansion, we've got a router to suit. Read below to learn more, or get in touch with our friendly Hawke's Bay team. The Netcomm NF18ACV is our standard router that works with any flavour of NOW broadband. It works right out of the box, no configuration needed. If you need a hand, we're a phone call away and can log in remotely to help with trouble shooting. 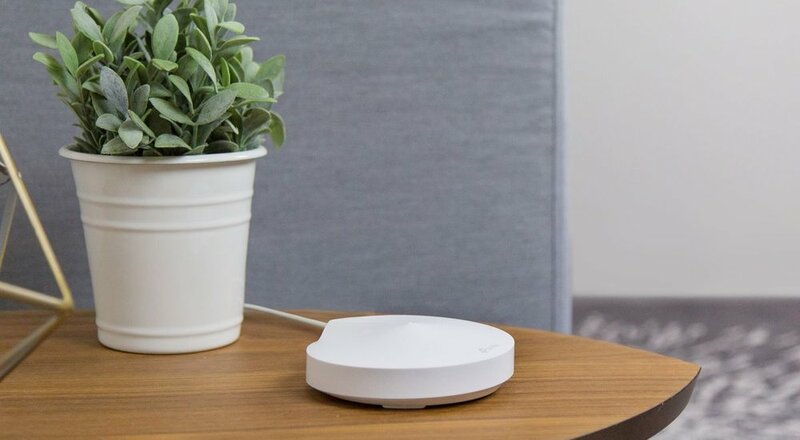 The TP-Link Deco Mesh System will connect and protect every device, regardless of the size of your home. Parental controls let you block content, set time limits and see what sites your kids are browsing, or even pause the internet for homework time. All from a convenient mobile app that's available even when you're away from home. The AmpliFi HD Mesh System provides powerful coverage anywhere. AmpliFi is more than a router - it’s the ultimate WiFi system. With it's App based setup, you'll be connected in a few minutes. With family profiles and one-tap quiet time, automatic updates and remote management, you're completely in control of the internet in your home. Have a smaller home but want the smarts that whole-home WiFi brings? Look no further. The Amplifi Instant delivers fast and reliable whole-home WiFi in under two minutes. Think Amplifi HD's younger sibling, punching waaay above it's weight. Available as a standalone router, or as a router + Meshpoint kit. Below are our router specs, and if that's not enough you can always call and have a chat with one of our technical team. *NOW has special firmware developed with Netcomm flashed to these routers at the factory. This firmware allows NOW to access the router remotely for troubleshooting purposes. We can also rescue your router proactively if you factory reset it. If you don't want this firmware, that's cool. Let us know and we can replace it with standard factory firmware. App based setup and management. 24x7 Chat based support built into AMPLIFI App.